We all know someone who maintains a garden in their backyard and harvest their own vegetables. Being a technical person, you might not have interest towards vegetable harvesting. But now you can harvest electronic materials all by yourself from your home. Super fun that would be right? So how does this work actually? This process was invented by a group of researchers from Mechanical Engineering Department of MIT. They had a developed a unique technique to harvest 2 inch diameter wafers of 2D material in just a few minutes from a bulk crystal material. 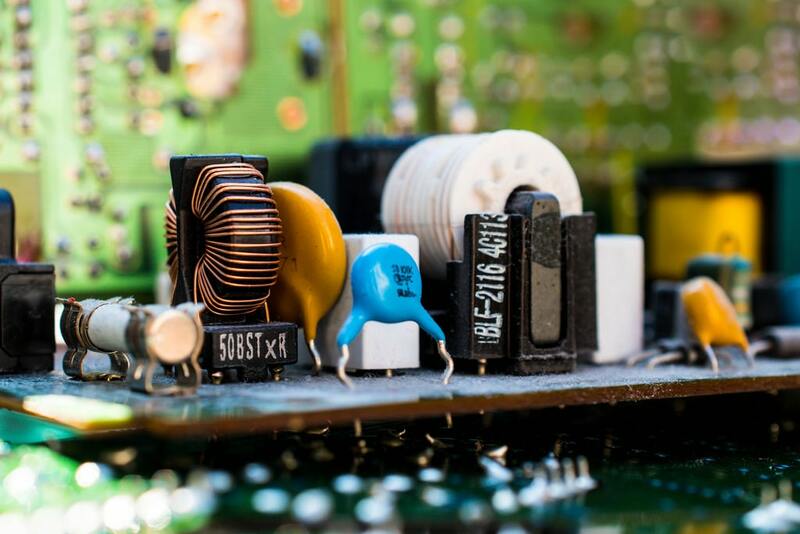 The harvested materials can be stacked together like building blocks to form a range of electronic devices with varied functionalities, even it can be made to act as a semiconductor. This invention can literally change the electronics industry as we see it. And this technique paves the route to the manufacture of flexible electronics. By using this method, you can produce different types of monolayer 2D materials such as semiconductors, metals and insulators, which can be then stacked together to form 2D hetero structures needed for electronic devices. Since this process is fast and cost effective, it is more suitable for commercial operations and can transform the electronics market in to a completely new dimension in the coming years. As part of their research, they are planning to develop electronic devices that can be used for Internet of Things (IOT) networks. These devices would be perfect for IOT networks, because the conventional semiconductors that we use for the sensing systems are making the technology very expensive. Such is the pace in which innovations are progressing in the electronics industry. And if you are an ECE student, you should update yourself with these latest technological concepts and stay ahead of your peers. Since these are evolving technologies, inculcating the concepts on to your engineering syllabus would take many years and colleges need to develop a lot of infrastructure to help you learn this. But, if you are interested in learning these technologies, you don’t have to wait that long. You can start learning the latest technological concepts right now by developing projects on them. And your engineering curriculum projects provides you a great opportunity to do this. Any ideas for getting good ECE project topics? If you are planning to build ECE projects on latest technologies for your engineering curriculum, it is better to refer some latest journals and standard project portfolios to understand the trend. IEEE projects list is one such portfolio which you can refer to get the latest ECE project topics and build them to develop your expertise. By referring the IEEE ECE projects list, you can get a pretty good idea about the trending technological topics, advanced implementation methodologies and processes. From them, you can shortlist a list of topics which suits your requirement and start building your innovative ECE project. 1. Biometric System based Electronic Voting Machine using Raspberry Pi: The objective of this project is to develop an electronic device that will use biometric based authentication to take in the votes during election. With much discrepancies happening with the election process across the globe, there is a great need to develop a much smarter voting machine and this project will provide an innovative solution for that. Since biometrics are unique to each individual, tampering of votes will not be possible and government can easily verify for the authenticity of the votes. The device will also be integrated with the cloud platform using Raspberry Pi. So the data collected will be stored online and can be checked by any remote user from anywhere on the earth. 2. Voice Controlled Home Automation using Raspberry Pi: With the usage of smart electronic devices on rise, a lot of companies are racing against each other to develop more innovative devices for the consumers. One such latest advancement that these companies had brought in is the usage of speech recognition technology. This particular technology provides more convenient way of using the electronic devices among the consumers. 3. A Survey Based on Smart Homes System using Internet-Of-Things: With the number of people moving from rural areas to developing cities increasing by multi-folds every year, the government is taking necessary steps to make sure that all the residents would get uninterrupted electricity supply for domestic needs. But achieving this wouldn’t be possible by following the conventional methodologies. So, we need to look for alternative solutions that uses latest technologies to solve this intelligently. Providing smart home systems is one such intelligent solution. The objective of this project is to do a survey based on smart home system implementation on a particular locality or an area. These type of smart home systems will be embedded with a microcontroller that acts as the brain of the system, PIR sensors that can detect the motion and send the data to microcontroller for processing, relay modules to actuate the electronic devices based on the input from the microcontroller, and a Wi-Fi module to send the data to the cloud for analysis. So the user can collect the energy consumption data from the cloud for a fixed timeline and carry out a survey for the energy needs. 4. Vehicle Anti-Theft Tracking System based on Internet of Things: With the urbanisation on the rise, number of vehicles especially cars entering the roadways have increased significantly over the recent years. This enforced the automobile manufacturing companies to come up with smarter cars that can facilitate advanced tracking system, real time internet connectivity, best in class dashboard infotainment system etc. Among these the tracking system that are embedded in the cars has a very significant role as it can help the owners in the anti-theft car tracking too. 5. An Internet of Things Approach for Motion Detection using Raspberry Pi: Usage of CCTV camera for surveillance has become a common trend among people to strengthen their security systems. But the major disadvantage is that it needs a lot of memory space to store the video feeds and manpower to detect the unauthorized activities. The objective of this project is to develop an electronic device that can solve this problem. In this project, you will be using Raspberry Pi (a miniature computer) to develop an electronic device. Implementing Raspberry Pi will make the system much cheaper and efficient, because of its low power consumption feature. Also we will be using PIR sensors to detect the motion. So, whenever the PIR sensor picks up a motion, it sends the data to the microcontroller and in turn the camera gets activated. By implementing this process, only the video feeds that has motion activities gets recorded and no manpower is needed to check the video feed real-time. 6. Designing and Modelling of Voice Controlled Wheel Chair Incorporated with Home Automation: Traditional home automation devices would allow an individual to control all the home appliances from a centralized unit that is wireless. This technology had to be customised differently to benefit the elderly and physically disabled people. Voice recognition is one such technology that can be integrated on to the home automation systems to make it user friendly for the elderly and physically disabled people. The objective of this project is to design a voice controlled based home automation system which can be used to control the movement of wheel chair and also the electronic devices by just giving voice commands. You can also add an additional remote to this device, so that the user can make use of that to control the appliances. 7. Smart Home-Control and Monitoring System using Smart Phone: The objective of this project is to develop an automation mechanism to control all the devices at Home/ Office. The communication can happen either through Bluetooth or WiFi mode. And these electrical devices can be controlled using an Android App installed in a mobile phone. This process will help in the automation of electrical devices at home and can be controlled with an Android App from a remote location. 8. Industrial Protection System using Temperature, Smoke Sensors and Light Dependent Resistor: When it comes to industrial equipments, a number of parameters need to be checked to maintain its efficient working. Some of the physical parameters are temperature, humidity, pressure, smoke levels, light intensity etc. We have sensors for detecting all of these values. For example, LDR sensor will be used to detect the light intensity. Depending on the intensity of light, the value of resistance across the LDR will change. Similarly you can use DHT sensor to detect temperature & humidity changes, Smoke sensors to detect smoke etc. The objective of this project is to develop an electronic device that integrates DHT, LDR & Smoke sensors for carrying out industrial protection. These sensors collects all the data real-time and sends it to the microcontroller for processing. You can also integrate the system with IOT to save the data online and carryout various analysis. You can also embed a buzzer along with the device so that it can alert the users whenever a sensor’s data crosses a specific threshold. 9. Density based Traffic Light Controller: With the urbanisation on the rise, more and more vehicles are being added to the roads, increasing the traffic intensity at a very rapid rate. For such a rapid scenario, the conventional way of maintaining traffic will not be effective. The objective of this electronics project is to develop an energy efficient smart device that can control the traffic lights intelligently with the help of IR sensors. The microcontroller can be programmed to make this traffic lighting system work autonomously with no human interaction. Also, you can develop a solar charger to power up this system and make it an energy efficient smart device. 10. Utilization of Solar Energy with Tracking the Sun using Stepper Motor Automatically: The main objective of this electronics project is to develop a device that can generate electricity by trapping the natural energy sources. We all know that solar power is one of the most abundant energy source available, yet we utilise so little of its potential. Through this project you will develop an electronics device that can trap solar energy with the help of solar panels and to improve the efficiency, the panels can orient themselves to the direction of maximum light intensity at a given time. Also, these solar panels will a unique mechanism that facilitates the automatic cleaning operation to generate maximum electricity by trapping more intense solar rays. Above are some of the best IEEE Electronics Engineering (ECE) project topics which you can select and build your innovative engineering project. Hope you got some good IEEE ECE project ideas from this article. Suppose, if you want to build great electronics (ECE) projects but don’t have the necessary technology knowledge, don’t worry!